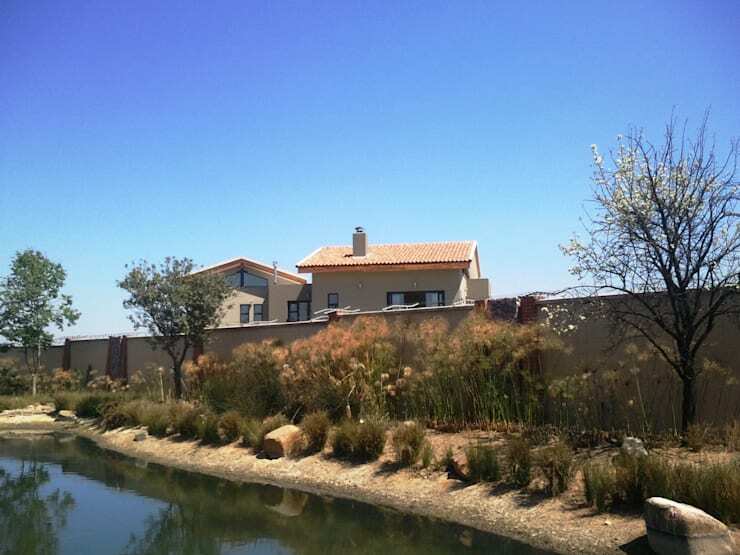 Essar Design is the expert team in charge of today’s homify 360° highlight, which is a very modern house in the superb Waterfall Country Village estate located in Midrand, Johannesburg. 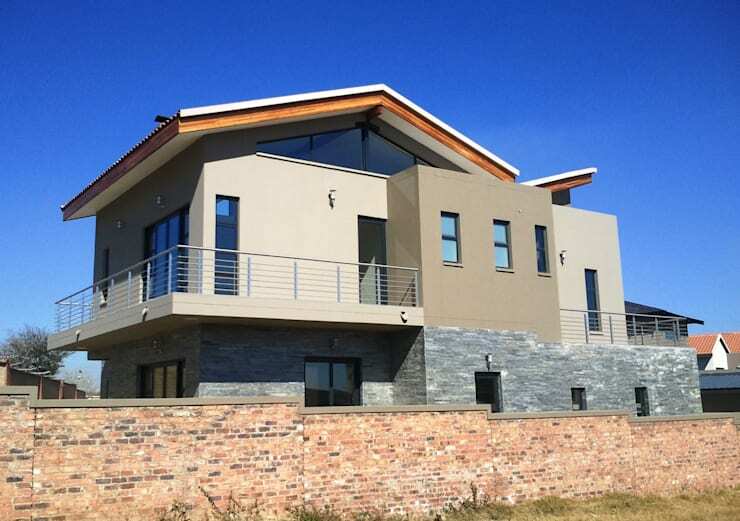 Sporting an eye-catching design on the outside and taking up a not-too-shabby layout of 400 m², this modern stunner comes with a price tag of R5,500,000.00. Located in a residential estate which sees a lot of grey-toned houses, the architects tried to break away from the metal-hued look with this creation of theirs. Thus, we get a design which enjoys a bit of warmth thanks to the neutral- and earth-toned façade. To give you an idea of what the final product will look like, let’s take a look at an artistic rendering with the completed warm-hued look. 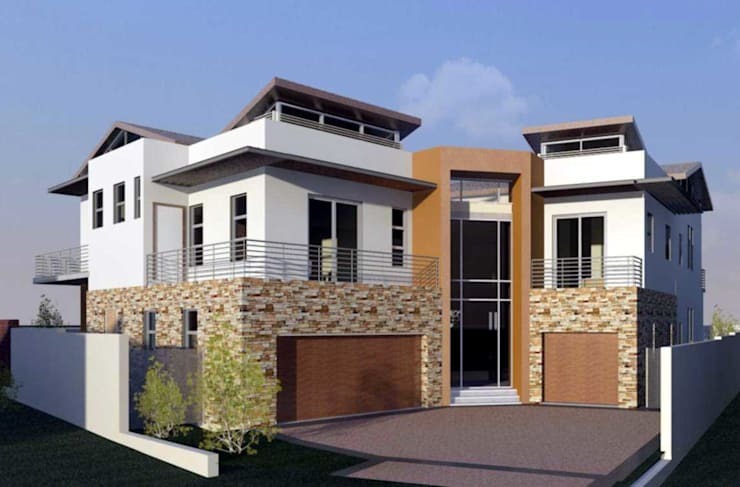 Even though the façade flaunts a lot of sleek touches (like the steel railings and elongated windows), our favourite element here has to be those stone-clad walls of the garages, which add some spice to the outside look, not to mention a whole lot of texture. This side view informs us of many things, including how big the house truly is, as well as its commitment to exterior views. Why else would the architects have opted for such a long balcony that seems to hug the entire back side of the house? This could be why – the lovely park/garden/lake view right next door, which can be enjoyed quite prominently from those balconies. And speaking of gardens, see these 8 gardens that will inspire you to work on your own. 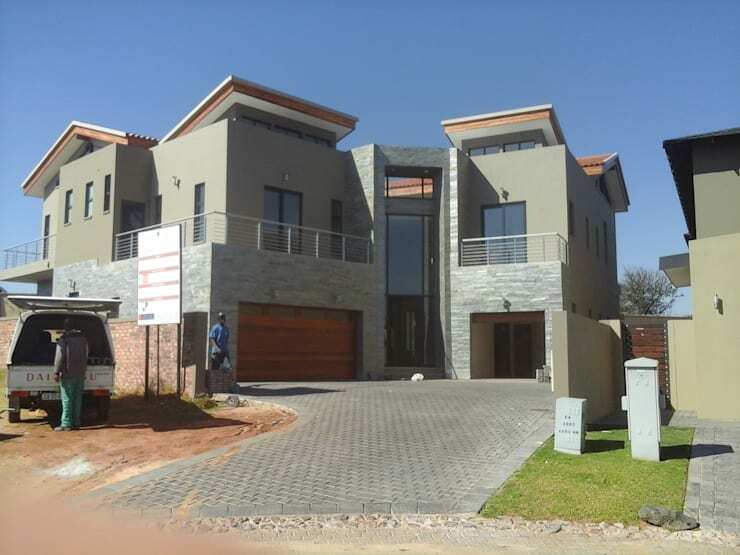 Would you pay R5.5 million for this house?